So right after getting back into the Shoot ‘Em Up style with XIIZEAL, Nick figured it was a good idea to continue my re-entry into the style with something else within the same vein. Horizon Shift is a vertical shooter that has your enemies come to you from both the top and the bottom instead of having you fly towards them. Horizon Shift has some very interesting mechanics. 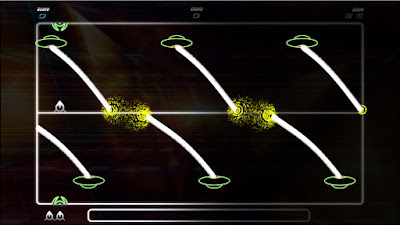 Instead of flying around on a map trying to dodge incoming shots, you will instead be moving only from left to right on a horizontal line in the center of the screen. Imagine Space Invaders but you’re already halfway up there. This caused some fundamental changes in the way to approach each wave of enemies as there are only two real directions for you to go in. Or is there? Utilizing the horizontal line is truly going to be your center focus. Moving from left to right is great and everything but it really isn’t enough. On top of being able move left and right is also the ability to jump up and over anything that would crash into you causing you to possible game over. While this allows for the player to dodge enemy bullets in a much fancier way, it gets even better as the ability to pull off double jumping is enabled by default! Between these two marvelous feats nothing could ever go wrong in your defense against waves upon waves of enemies. Oh right. There’s another side. This is where Horizon Shift truly shines as well as shows its true colours. 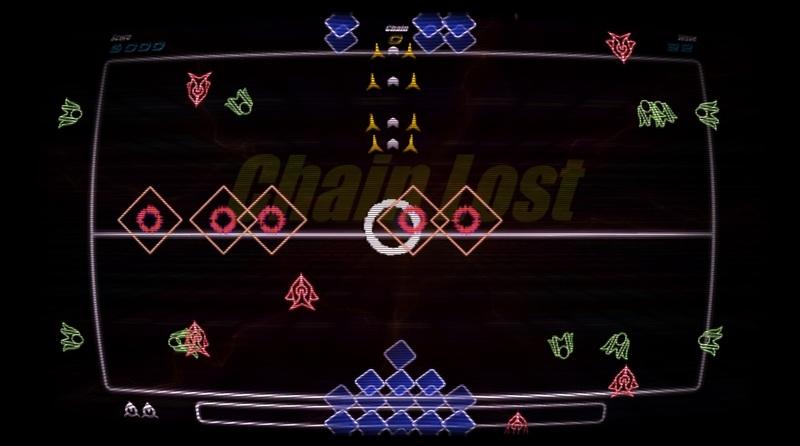 Not only does the player need to pay attention to what is coming at them, but they have to do this from two separate directions without throwing in the fact that enemies can also come in from the left and the right. 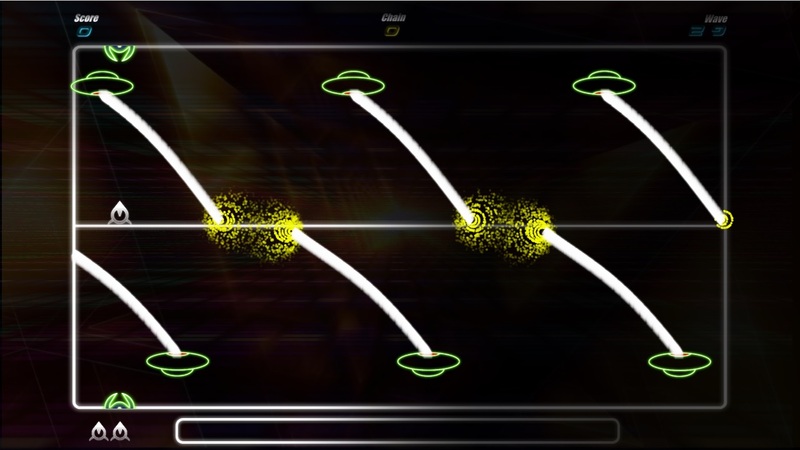 Using the horizontal line as essentially a baseline, players can flip themselves on a moment's notice to shoot either upwards or downwards depending on where the enemies are. 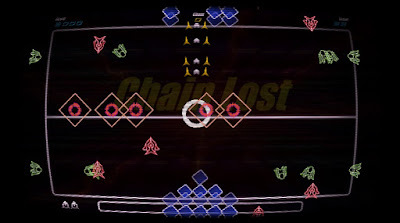 Good reflexes once enemies start rushing and bullets come flying are going to be needed alongside split decisions of going left and right while facing up or down if you want to stay alive. On a whole, Horizon Shift is a great Shoot ‘Em Up with a different style that makes it quite entertaining on top of being a blast to play. Like XIIZEAL, I may not be very good at these but with great controls and taking the time to learn the systems I can only get better!